Karla Pippa is an NYC based birth and postpartum doula offering services with special attention to breastfeeding support in NYC. Prepare for your labor and for successful breastfeeding with an experienced and certified doula in Manhattan, Brooklyn and Queens. My name is Karla and I'm a certified, experienced NYC birth doula and certified breastfeeding counselor that also offers postpartum doula services throughout Manhattan, Brooklyn and Queens. My belief is that the human spirit is strong and that birth is an incredible experience that brings women to a point where they must tap into that inner strength. I believe each of us has the capacity to do so because our bodies and spirits were made for this. 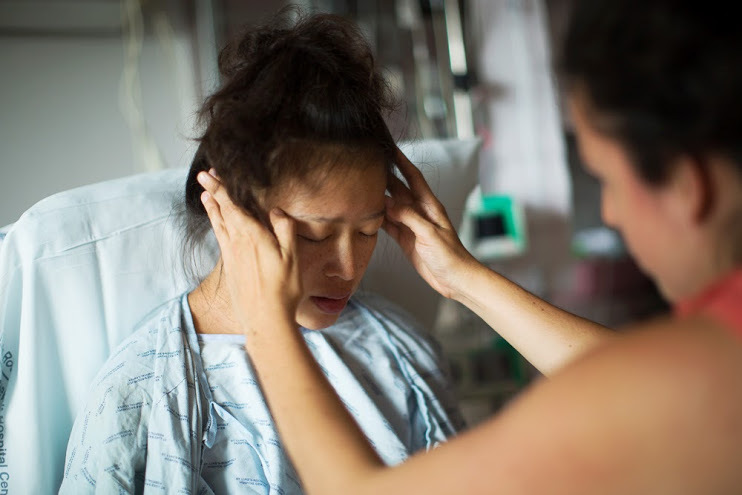 As a birth doula, my goal is to work with mothers and their partners at this memorable moment in their lives by giving them the support, guidance, and care necessary to work towards the birth experience they are wishing for - however that may look. As a postpartum doula, I hope to provide any additional breastfeeding and postnatal support to build confidence and create a smooth transition for the family. Being a birth doula in NYC is an amazing experience. Sharing this experience with a doula partner brings it to the next level. In 2015, I joined forces with my friend and amazing doula Narchi Jovic. Together we formed NYC Birth Village, a joint venture through which we combine our experience and skills to provide a comprehensive service to our clients. Visit nycbirthvillage.com to find out more!